The stretch of Lorain between Ohio City and Detroit Shoreway continues to draw entrepreneurial attention from hospitality-based businesses. In addition to newer additions like the Plum, Herb ‘n Twine, Xinji Noodle Bar and Forest City Shuffleboard, new entries like Cent’s Pizzeria and Stir Studio Kitchen are preparing to open their doors. Now we can add Arsenal Cider House to the mix. In the nine years since Bill and Michelle Larkin launched the cidery in the Lawrenceville neighborhood of Pittsburgh, Arsenal has graduated from a basement business to one with three taprooms and a separate production facility, all in Greater Pittsburgh. Demand for their award-winning ciders and meads has translated to a distribution network that covers much of Western Pennsylvania. Locally, the product is available at Fat Head’s and a few other establishments. Pittsburgh, like Cleveland, is a beer burgh. But that didn’t stop Arsenal from finding a niche, developing an audience, and thriving where others have not. 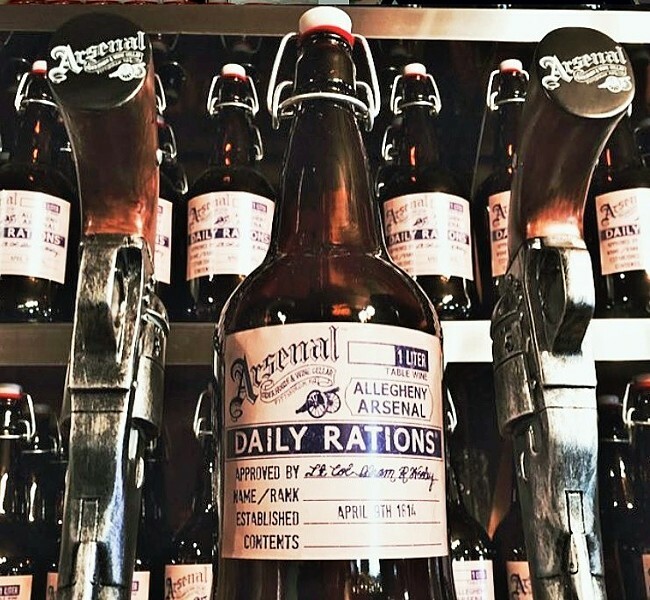 In contrast to that often cloyingly sweet stuff, Arsenal leans to semi-sweet and dry ciders that are made from apples grown in Pennsylvania and New York. “I describe it as a wine-style cider, meaning that we put in a lot of care to make sure everything is perfect,” Bill explains. As demand for the product continued to grow and expand westward, the Larkins started thinking about an out-of-state gambit. Cleveland made the most sense, they say. Ohio City, he adds, is remarkably similar to Lawrenceville, home to the original location (and the Larkins). Work has already begun on the Cleveland location, which is located on the ground floor of the Go Media building (4507 Lorain Ave.) across the street from Forest City Shuffleboard. Arsenal will be producing cider onsite from local fruit, supplementing the offerings with product from the mothership as well as local beers. The 15-barrel system and fermenters will be visible in the 30-seat taproom, which will feature a rustic, woodsy vibe like the original. Look for Arsenal Cider House to open this summer.